The Maples Residences | NetClimber Web Design Inc. 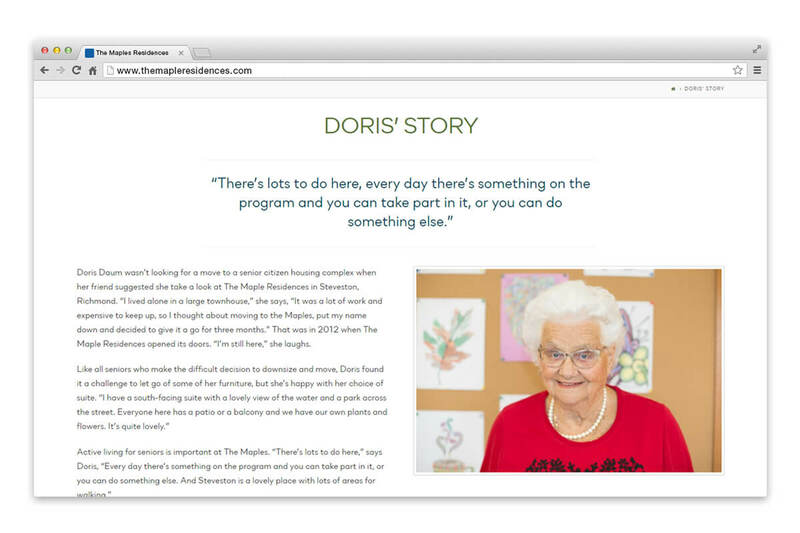 The Maple Residence needed a new website that was modern and colourful. 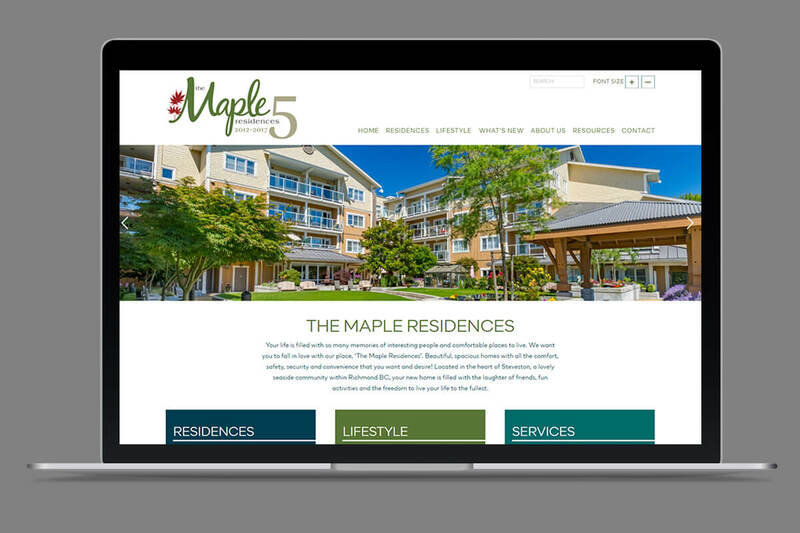 Using WordPress’s X theme as a foundation, NetClimber built a responsive website that reflected The Maple Residence’s brand and design aesthetics. 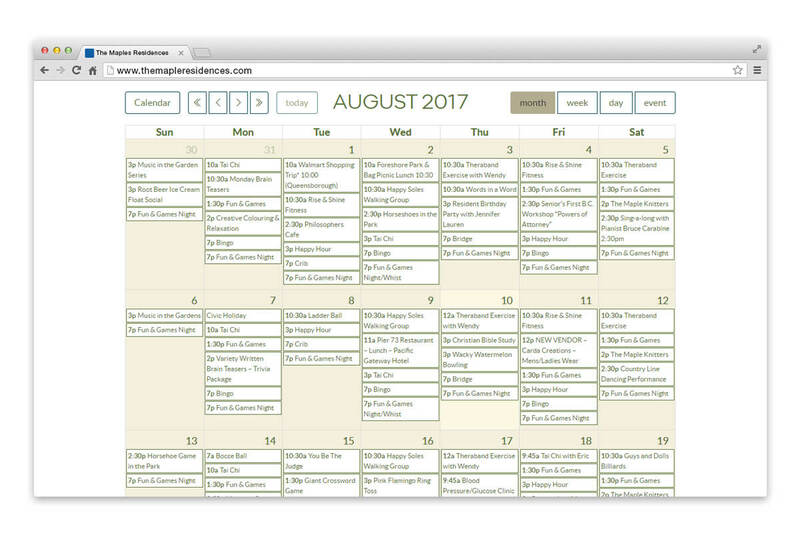 The new website features an event calendar, photo galleries, and resident stories and testimonials. 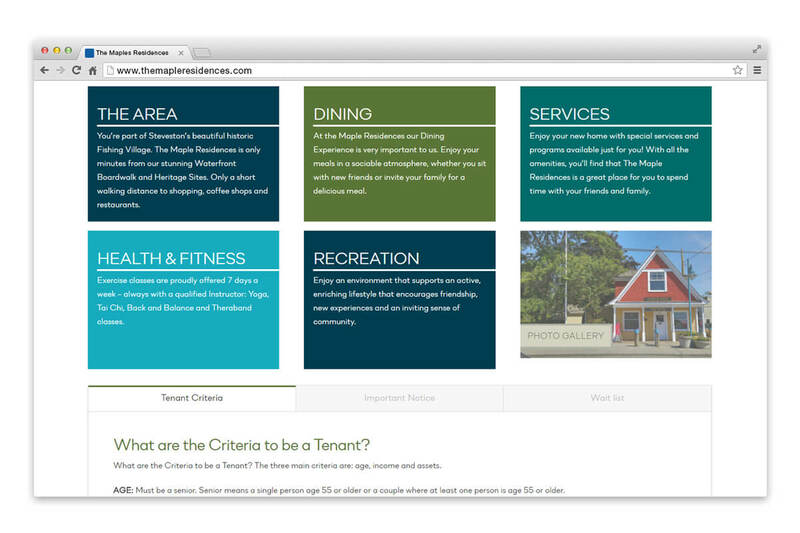 The Maple Residences contracted NetClimber to implement all their content onto their new site.